Saloio Virgin Olive Oil results from the selection of the best olive crops, and is distinguished by its slighty higher acidity level, making it an excellent product for those looking for a more mild flavour. This product is available in 1 litre tin, 3 litre tin, 750ml bottle and 1 litre bottle. Saloio olive oil is enjoyed by those who like the strong, original taste of the olive, which possesses its own innate characteristics. 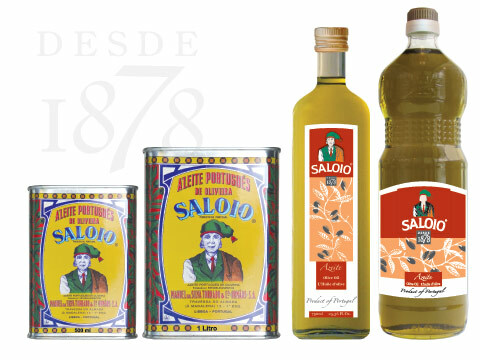 The “SALOIO” brand was the first Olive Oil to cross the Portuguese frontiers, and today is international recognized. The Olives used are repend on the tree, and once the juice is extracted then the temparature conditions are controlled to help preserve the colour, aroma and flavour.